For a look "Behind the Scenes" into the making of The Meadowlark Collection, click here. Late spring turns into early summer and the meadowlarks sing the praises of both! 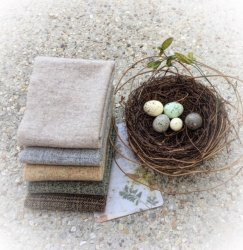 Shades of nest brown, vintage blue, butter, misty grey and eggshell will make this one of your favorite add on bundles to your stash!!! This gentle beauty contains five fat sixteenth cuts, each a generous 8" x 14". 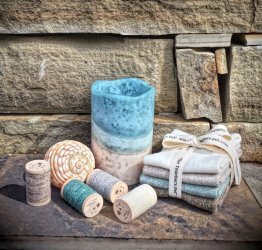 Wool Bundles and Kits sold out - thank you! Patterns and thread still sets available!! Click Here to see Pattern. 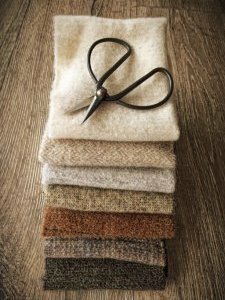 The Shetland Collection: Seven colors of Scotland's infamous Shetland Sheep all wrapped up in one bundle! 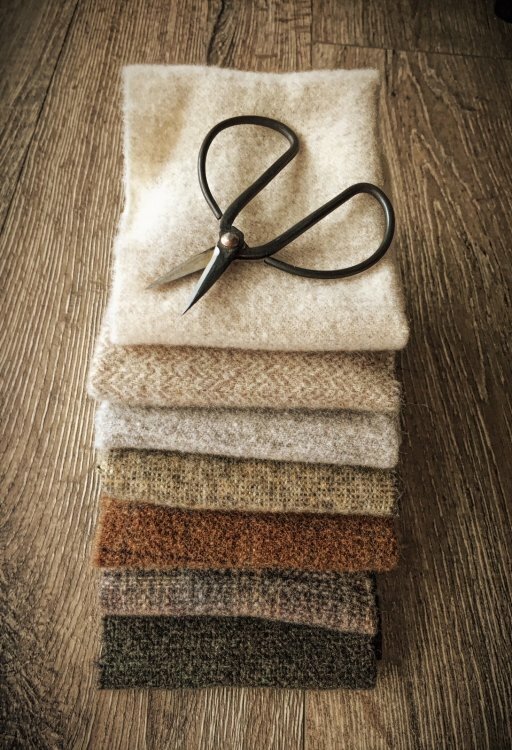 With Shetland names of Moorit, Mioget, Musket, Fawn, Linsket, Shaela and Black, this will be a favorite collection for all of your natural and neutral tonal appliques. 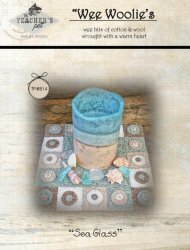 This bundle contains 7 fat sixteenth cuts, each a generous 8 1/2" x 14+" for $35. Coordinates with our Rustic Moire Thread "Shetland Collection" - 7 spools. Wool Bundles Sold Out!!! Thank You!!!! My favorite time of year, Autumn rings in days filled with college football, rustling leaves, cozy fires, pumpkin spice everything, warm blankets and apple cider! 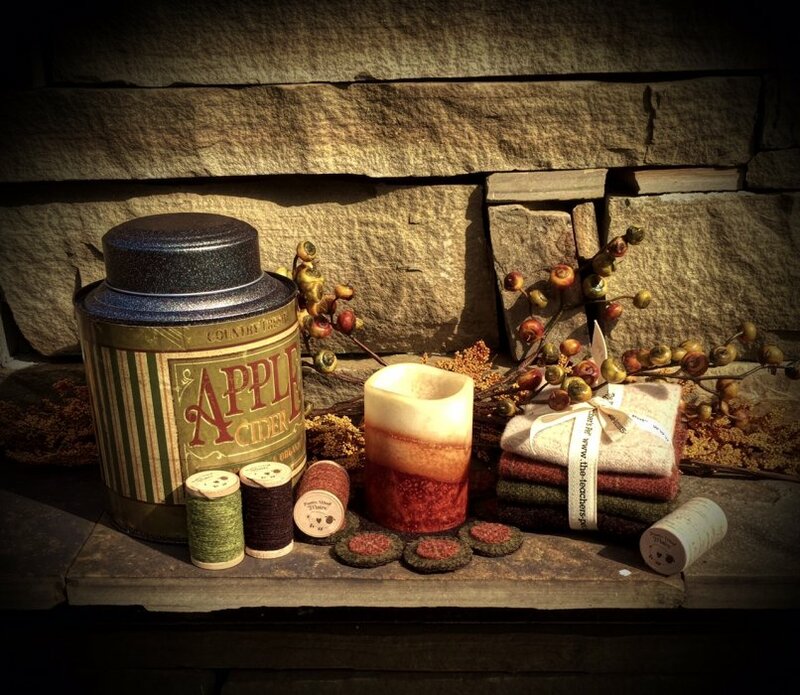 Introducing our newest wool bundle "Apple Cider". The autumn inspired colors of cloves, sycamore, bittersweet and wood smoke will be a perfect fit for your wool applique projects! Purchase the wool bundle OR the coordinating thread set OR BOTH and receive the pattern for the Apple Cider Candle Mat you see beneath the candle FREE!!!!! 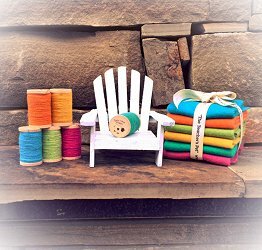 Buy both the Thread Collection AND Wool Bundle for $45! It's summer, and oh how I love the sand between my toes, the salty ocean and the soothing colors of sea glass on the beach. 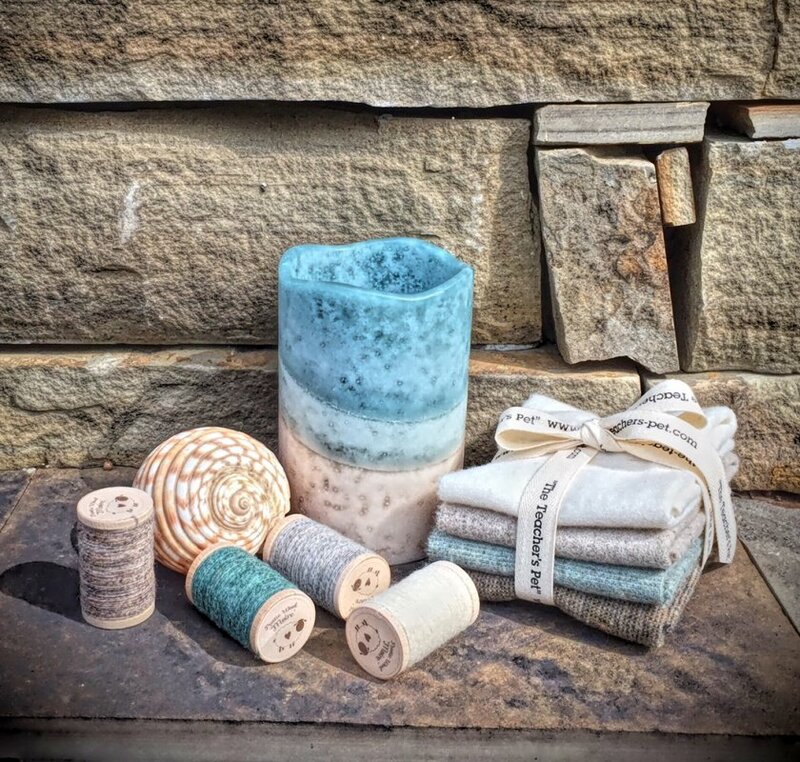 Our latest Wool Bundle, "Sea Glass" is a lovely mix of sugar sand, driftwood, sea spray and boardwalk. 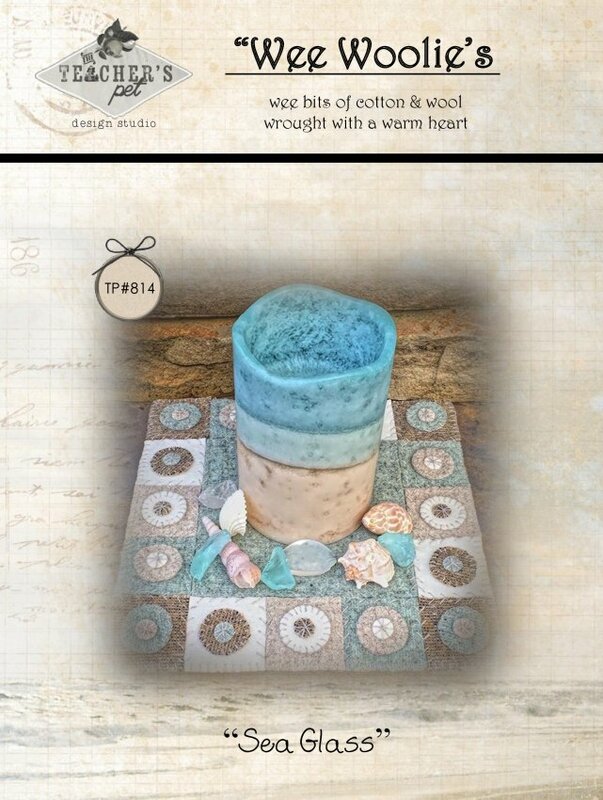 Our super simple to stitch Sea Glass candle mat can bring home these carefree feelings of summer all year long! 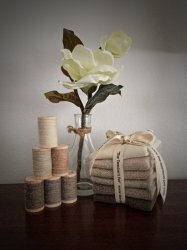 Buy both the Thread Collection AND Wool Bundle for $60!